The Kyiv City Council at a meeting on Thursday approved the tourism fee rate in the amount of 0.4% of the minimum wage for Ukrainian tourists and 1% of the minimum wage for foreign tourists. A total of 76 deputies backed the decision. “In 2019, the amount of this fee for domestic tourism will amount to UAH 16.69, for inbound tourism – UAH 41.73. Taking into account the rates, the city budget should receive at least UAH 35 million,” the press service of the Kyiv City Council reported, citing First Deputy Head of the Kyiv City Administration Mykola Povoroznik. Earlier, he reported that in 2018, the budget of Kyiv city received UAH 33 million, which is almost a quarter more than in 2017. As reported, Ukraine’s Verkhovna Rada in 2019 changed the base for accruing the tourism fee and obliged tourists living in private accommodation to pay it, according to the law amending the Tax Code and other legal acts on the review of some tax and duty rates (bill No. 9260 from the so-called “budget” package of bills). In addition, the law changes the tourism fee rates in 2019. 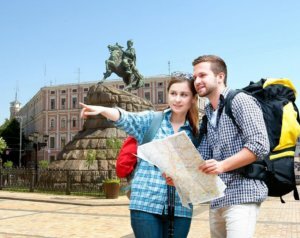 In particular, for domestic tourists, the rates should not exceed 0.5% of the minimum wage per day, which from January 1, 2019 will be UAH 20.87, for inbound tourism – up to 5% of the minimum wage (UAH 208.65). The final rates will be determined by local councils, but they will not depend on the cost of accommodation or hotel category. 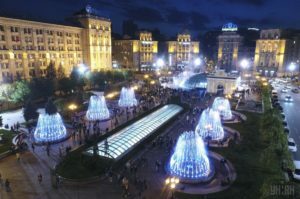 Department of Tourism and Promotions at Kyiv State City Administration plans to increase the flow of foreign tourists in the capital by 25% compared to 2017, to 2 million people, head of the department Anton Taranenko has said. “Our plan for this year is 2 million foreign tourists, this year we almost got closer to the level of 2013. This summer has become record in the past four years. Over half a year later, in 2018, more than 850,000 foreign tourists visited Kyiv, whereas in the similar the period of 2013 there were 660,000,” he said at a press briefing on Monday. According to Taranenko, the “profile” of tourists visiting Kyiv in recent years has changed: if in 2013-2014 more than 50% of them were from Russia and post-Soviet countries, then the top five in the past year are Belarus, Israel, the United States, Germany and Turkey. “Belarus is in the lead due to the fact that a large number of Belarusians come to Kyiv, get accommodated here for a day or two, and then go to the Black Sea coast, that is, it is short-term tourism. Israel is growing every year, and representatives of the tourist cluster of the United States and Germany are going to Kyiv due to the return of cruises to Kyiv. Turkey is always in the top five, and there is also a flow from Italy, France and the UK,” he said. According to him, the segment of foreign leisure tourists has been growing recently. Taranenko told Interfax-Ukraine in a comment that the ratio of “conventional” tourists to those who travel to attend an event or on business trip in the first half of 2018 was 40% to 60%, while in 2017 business tourism accounted for 70% of the entire flow. According to him, this equalizes the occupancy of hotels in the leisure season (from May to October) and in the traditional business travel season (September-May). “In general, hotels feel much better than in previous years. The average occupancy rate from May to September is 45-50%,” he said.